We'll Fix it! Take a look at our computer repair services. Just a few things we do! 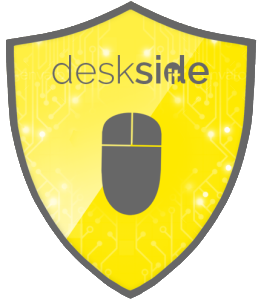 Welcome to Deskside IT, take a look at our computer repair services. We want to be the go to place for all your IT needs. We offer local in-store support for Spring, TX and surrounding areas. So whether you are looking for advice on which computer to buy, or need to get your computer back on track, we are here to help. We offer a free consultation and based on this, an estimate is given before any work is started. If we require further testing to give you a thorough estimate we have a small diagnostic fee that will be applied to your repair. Unlike most of our competitors, we operate on a flat rate basis, NOT by the hour, but by the job. This saves our customers time, and money. So whether you need computer repair, laptop repair, or need some help with some software, please feel free to swing on by. This includes a complete diagnostic check of your entire PC, including hardware and software. Pin-pointing the exact issue will save you time and money and prevent unnecessary repairs. Tired of your PC running slow? Most malicious programs are very well hidden. We’ll find and remove these programs on your PC. This includes Trojans, Viruses, Spyware, & Adware. We know your files are important, so take them with you! This includes the transfer of up to 20GB of data from one device to another. We also include this free with our OS installations. Whether you’re just upgrading your operating system, or your having to many issues. Reinstalling the operating system will always help. Well get this done quickly and efficiently! From office, to your favorite new game, we will help you get your new software program working the way it should. Please have your discs, & product key information available. Lets upgrade! We’ll install new hardware (hard drive, graphics card, power supply, memory, etc) This does not cover all hardware, please contact us if you have questions. Give us a call! Click Here! Its hard to work when you can't see your work! As we take our laptops from one place to another, things can happen. 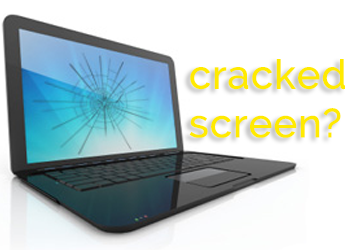 Laptop screens can crack, the back-light can go out, or may an issue related to the connection between the screen and the motherboard. Whatever it is, we will do our best to get you up and running quickly and affordably. Unlike many competitors, we keep most screens in stock. We can usually have your screen replaced the same day or next day. Please call us with your model number for a quote, or you can submit a request using the Quick Quote Form. Why have I wasted my time, and money going to Best Buy. My daughter sent me to Deskside Computer repair, no lines, quick turn around time and best of all the price was great. Never again will I go to Best Buy. I can’t say enough good about this place. Great place. They are really nice. Helped me do a very hard soldering job for my tablet. Highly recommend they are very knowledgeable. Fadi did a great job installing a new OS and ssd drive on my laptop! Can not recommend him, and DesksideIT enough! Can’t say enough about these guys, they are the nicest people ever and they have the fastest turn around you will find. Best buy said it would 2 weeks for the repair on my laptop and I had to leave for school. Desk people fixed it in 2 days. I highly recommend them, and by the way, while I was there they fixed the cracked screen on my cell phone. Wow! Virus removal & malware removal!